The code highlights all the necessary circumstances that may lead to a noncustodial parent applying for the enforcement of child support. 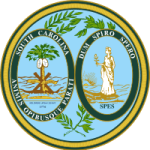 It contains all guidelines, rules, laws and exemptions as applied within the state of South Carolina. These guidelines are utilized by the courts to determine or rule a child support case. It provides a way through which to compute for child support while stating the factors to consider when doing this.